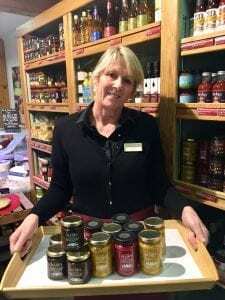 Celebrating their 20th year of trading as a farm shop this year. The Garthwaite’s have been farming here for five generations. Furthermore 75% of what they sell is from their farm! The rest is carefully sourced from independent local producers like ourselves or just darn tasty and beautifully crafted items. As a result of their care and attention to detail you can easily while away a couple of hours, feasting in the Barn Café. Perusing the gift shop and florist. Certainly, don’t leave without stocking up for the weekend at the extensive butchery, fish counter, grocers, deli, bakers and wine loft. Above all you’ll get service with a smile.